If you've read other posts on my blog or follow me on Instagram or Twitter, you'll probably already know that I'm not a full-time writer. (You can read why in this post.) But I do have a full-time job that's very much outside of writing - currently in an IT graduate scheme. My day job is a very different world from my work as an author. (And actually I'm not even sure most people I work with know about this side of me!) I keep them reasonably separate and over the last eighteen months or so since I've been in this job, I've figured out how to handle both of these careers. 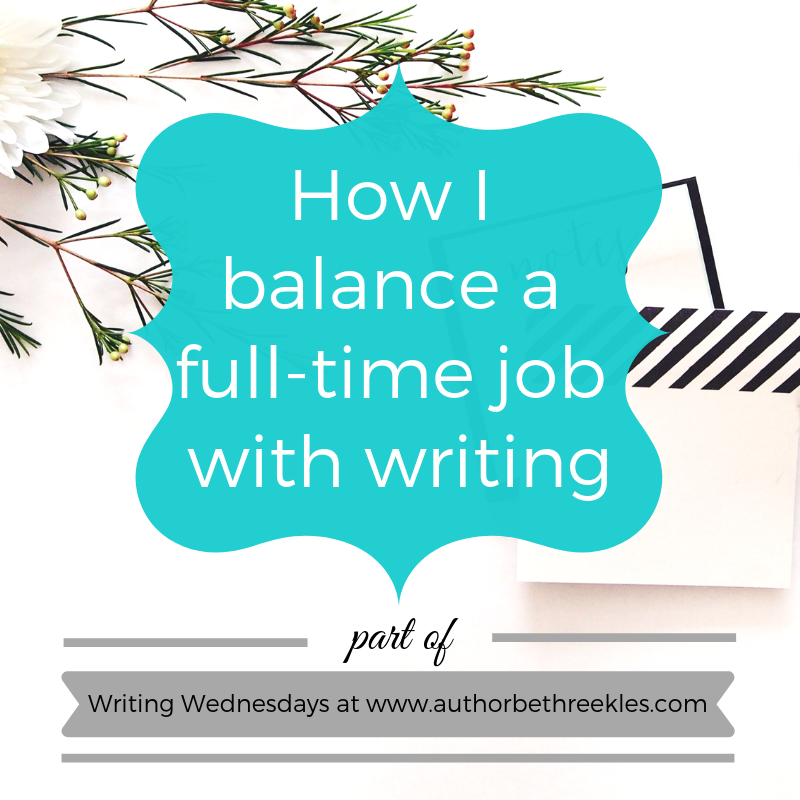 In this week's post, I wanted to talk about a few of the ways I balance my full-time job alongside my writing. In my last job, frankly, I didn't balance the two at all. I took a graduate job starting September 2016, after I graduated, and did no writing. I thought, hey, it's cool, I'll have time - and I didn't. I worked long hours - some weeks, this meant I was out of my house by 7am and not back until gone 7pm. For some of the job, I'd be travelling and that would take up up to another three hours a day. I was studying, too, non-stop, whenever I wasn't working - up until December, when my exams were finished for a while (and I'd decided to quit). I still didn't have time after exams, because of all the job applications I was sending off, the interviews, and I was still working long hours. I was exhausted. I was drained from working somewhere I didn't like. I had no energy to want to write. At that point, it's safe to say I did not balance that full-time job with writing. Over the last year, I've figured out how to balance working full-time with writing. The job I have now is so much different that I'm able to manage balancing these two careers much better - and part of that is just down to the time I have back. I work a regular 9-5 kind of day. I travel, sometimes (including to Germany) but it's much more reasonable. Not daily commutes of an hour and a half each way for three weeks. I love my job, so while I might be tired when I get home, I'm not drained. I'm not spending all of my free time studying for exams I have to take. Plus, my commutes have been reasonably short (now clocking in at 15 minutes if the traffic is bad) which is a godsend. All of this has made such a huge difference. Writing is a release; it's relaxing; it's something I don't just enjoy but become completely consumed by. But it's something that requires a functioning brain - which I didn't have at the end of the day in my old job. Now, I also give myself the time to write. I'll make sure that I schedule in any chores I need to do that week - whether it's cleaning or grocery shopping, so that I have more opportunities to write once that side of things is out of the way. Planning my week out is definitely something that's really helped me balance writing with my job. Scheduling in time to write isn't something I can always do, but when it's a project I'm really trying to focus on (like editing, or currently finishing off a first draft of a manuscript) I try to set aside particular chunks of time with the intention of using it to write. Because I have a day job, I can't sit and write all day if I want (unless it's a weekend, obviously) so knowing when I have free time helps me to be in a more relaxed frame of mind to write and be more productive. And as part of this, to-do lists are soooo important. I live by Todoist. Getting the idea down while it's in my head is a big deal for me. Otherwise I'll only end up thinking more and more about it until I can actually work on it and get writing - but once it's on the Trello board, it's out there somewhere for me, and I get to put it out of my mind for a while. I take my laptop places with me when I can. Not everywhere, of course, and not to work - but if I'm going away for a night or more for work, or if I'm going back home for a couple of days, if I've got a long train journey somewhere, I'll take my laptop. I don't like writing on my phone (I'd just have to spend time re-formatting everything when I added it back to the original story, and I'd rather just do it properly first time round) so then at least if I want to write, I'm able to. And when I live away from home and visit my family fairly often, or have to travel for work, that usually means I've got free time that I definitely can't dedicate to chores! Annual leave is my new currency. I think I've taken one actual genuine holiday in the last year - counting my trips to New York and Brazil as work-based trips! And actually even that one family holiday I had, I ended up writing. I did take time off over Christmas, though, and genuinely didn't do any writing then - it was a full-on break from everything. Balancing two careers also means balancing some more of the 'admin' type elements. Using a lunch break to make a trip to the accountant or do interviews is more manageable, but then we get to things like visits to London to see my agent, if I'm invited to do panels or events somewhere... It usually means time off from the day job. Which is fine, but it does mean I have to be very careful as to how I use my annual leave. I mean, take Brazil - I was invited out for a week originally, but when you consider it was a 12-hour flight each way and that I wasn't even sure I could take time off to spend with my family over Christmas at that point, a week was a stretch. (Plus, work was pretty busy at that time.) I had to make compromises there by doing a weekend in Sao Paulo - and being back at work a day after I landed back in the UK. This part is probably the hardest, I'm not going to lie. Much as I'd love to just book a whimsical weekend away with the gals to Ibiza or Amsterdam (and believe me, I'd love to), I know I have to think practically about it. Those days I take off might be important to use for something else, for my career. And hey, you can rest when you're dead, right? And speaking of rest: self-care is VITAL. I don't book time off work to rest, really. Most of the time I've booked off work is to do a different kind of work. That's my choice, I know, and it's a choice I'm happy with. I just like to feel productive. 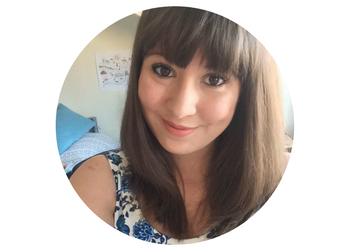 I like working on books and my blog and maintaining my social media, and I like putting my all into my day job. I like being busy like that. But being 'too busy' too often runs the risk of burning out. I focus on relaxing and 'hitting reset' in different ways. Living by myself for the past eighteen months has taught me a lot about practicing self-care, especially when it's become an important part of improving my mental health. Whether it's spending time cooking a nice meal, having a face mask on for ten minutes - or even doing all my chores while listening to some podcasts has become a form of self-care I embrace - it all counts. Approaching those things with an attitude of 'This is something I'm doing for myself, and I'm going to enjoy it' helps me get that down time and keep from burning out too much. I know I said writing is relaxing for me, and I'm not trying to go back on that - but it is a lot of hard work, too. Writing is something I pour my heart and soul into, but there's much more to it than the actual writing. Managing my finances, press, my blog, editing, all the promotional activities - there's so many working parts to keep in order, and it's not always the kind of activity that lets me switch off and unwind, which is why those self-care practices are so important to me. This is by no means an exhaustive list, but it's some of the key ways I've found help me balance being an author and a job in IT - and I'm sure as time goes on, I'll discover new ways to make it work even better. If you're a writer - do you balance this with another job? What tips and tricks do you have to manage that? Share your experiences and best practice in the comments! Why do you work full time? Does your writing not make enough money? The money authors make isn't exactly reliable and can vary wildly year on year so most authors make extra money from things like editing services or school visits, but it's not just about the money. I love my job and wanted to build a career in this area, and regardless of the money I earn as an author, my day job is something I also wanted to pursue. Why not do it all?